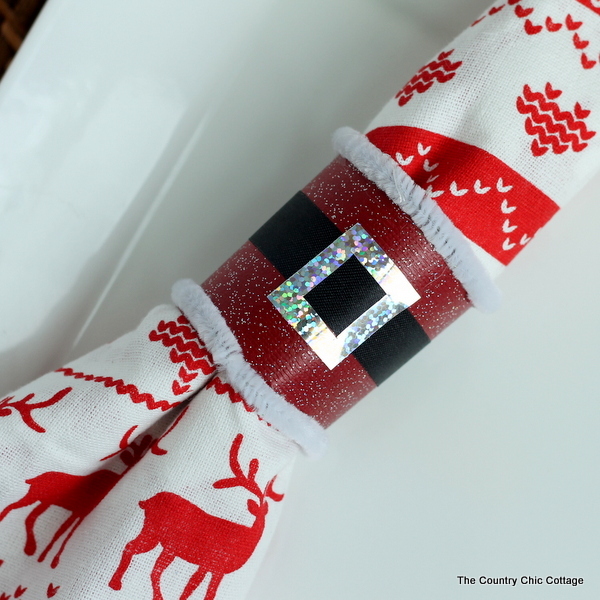 You are here: Home » budget friendly » Make Santa Napkin Rings in Minutes! I have another great quick craft for you today for Craft Lightning. 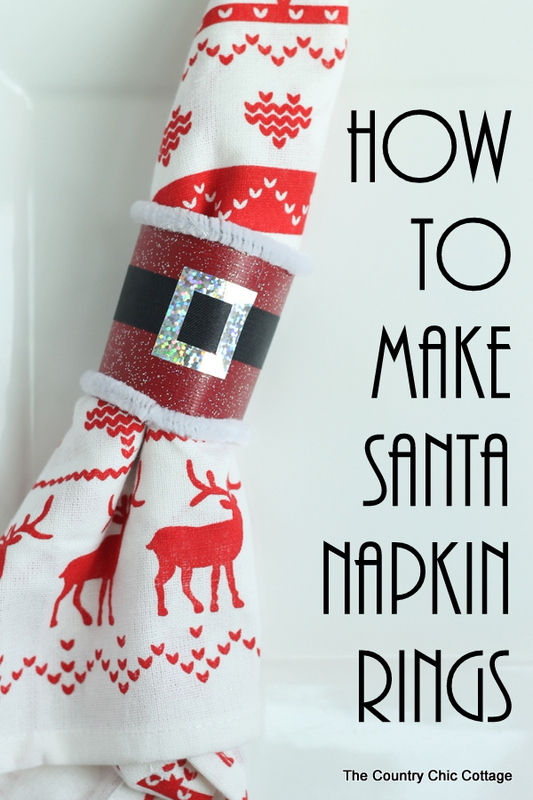 Today I am going to show you how to make fabulous Santa napkin rings in just minutes. If you have missed any of the Craft Lightning fun around here this week, be sure to check out the round ups from day 1, day 2, day 3, and day 4. This post is also a part of the Crafty Hangouts series sponsored by Adtech. You can check out more great craft videos over at Crafty Hangouts anytime. Now are you ready to see how to make these Santa napkin rings live below. Yep in just a few minutes you can turn a plain paper towel roll into great napkin rings with a Santa’s belly spin. Too cute right? Watch below and see what I used to make these. I can’t wait to use these around my Christmas table. Y’all save up those paper towel rolls to make your own Santa napkin rings this holiday season. Be sure to use your Adtech tape runner to make this craft super easy and quick!